Only one stop was made in Wichita Falls on our haunted trek to Amarillo to see Dr. White’s Sanitorium –Old Insane Asylum. There were several spots we could have checked out but this was easiest for the time we had left in the day. Once mapped we turned right onto Olen Street and found what we thought was going to be a dilapidated structure with weeds grown up around it, an old iron gate partially open inviting the curious in. We did no prior research. All of these finds were random and found on one website only. 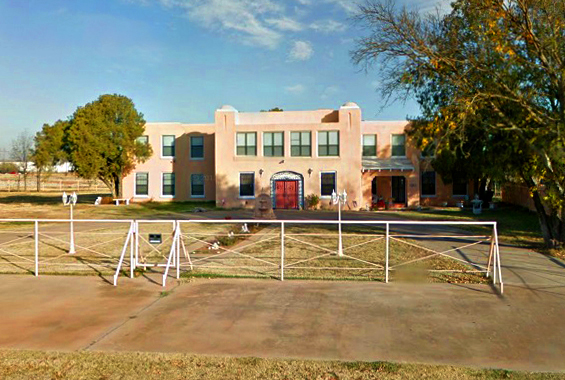 We found the address 508 Olen St in Wichita Falls, TX. I had to look twice on the internet to verify this place for it had been converted to a private residence. I wanted to knock on the door and ask to take a tour. Obviously we didn’t. Surely they have people like us drive by regularly. According to various websites, this facility was used to house tuberculosis patients back in the 20’s. Once closed it was abandoned and as you can well establish the building was explored by those in search of ghosts and sounds were audible leaving much to the imagination. I have not found evidence that it was used as an insane asylum. This was an easy find.